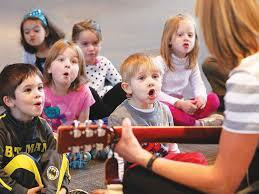 From the time that they can speak, children begin to like singing. Some tend to do it more than others. Rare is a child that does not intone speech in such a way that it sounds like singing. Though it does not the normal means of conversing, it is a great tool for communication. Are there benefits of singing for children? Let’s take a look. We think of speaking as being the particular avenue used by the bodies mechanisms which are used in communication. Speaking is what sets human beings apart from animals. It is not that animals do not communicate, because we know they do. Their communication centers on certain sounds which signal alert or harm is near or finding of food. Sometimes their sounds are meant to frighten or warn. Human speech can do these things, too, but so much more. They can form specific words by which they can communicate the same things as animals. But their words can be joined so as to communicate not only situations but abstract things called ideas. They are the only beings that can use words to describe a sunset or a beautiful flower or tasty food. Humans can use words to share thoughts and concepts. They can use words to express feelings and emotions. They are the only beings that can use words to inspire and encourage. You might think that these things alone would be all that speech would need to make human beings the highest of all creations, which they are. But, there is more. By developing singing we can experience living on a whole new plain. The classical approach to singing will also improve the singer’s posture. With sit down jobs and computer screens modern posture has taken a back seat. Bad posture leads to all kinds of other maladies. Back muscles weaken and abdominal muscles atrophy. It is not long before the average person has developed a humped back and a pot-belly. Neither of these is good for one’s health. Classical singing, whether seated or standing, promotes good posture. This strengthens back muscles because they are actively involved in holding the upper body upright to facilitate deep controlled breathing. The abdominal and intercostal muscles are employed to provide pressure to push air through the vocal mechanism. As one progresses in singing these muscles become more and more fine-tuned and stronger. Correct posture and breathing always bring about good health to the person who practices them. 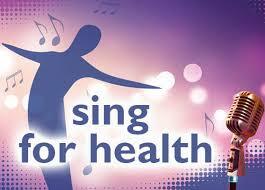 Singing is an excellent way to exercise and build these muscle groups. One physical aspect of singing that is seldom addressed is that of the facial muscles. All the muscles of the face are put to use at some point in the act of singing. I am not talking about the ugly grimace seen in the expression of the common popular singer. I am talking about muscles of the face, jaw and eyes which express what the singer is singing in words. This brings about a development of facial muscles. It will be hard to find a classical singer who does not have a positive expression on their face. They are vibrant and energetic in their expression, whether singing or in normal conversation. Not only is singing good for one physically, but it also benefits one mentally. It is well known that singing employs not just the left side of the brain. But it forges a link with the right side of the brain. The left brain tends to emphasize the things that we can see, hear, touch, taste and smell. The right side deals with the more abstract things. This area of the brain is greatly developed in artists of every genre. That is true whether it is music(classical music), art, abstract thoughts, philosophy, etc. It has been shown clinically that students who study classical music consistently score higher on aptitude tests. Several studies have shown that just listening to classical music can raise one’s IQ quotient. Studies show that students who play a musical instrument score an average of 200 points higher on SAT scores. Singing employs the instrument of the voice. Playing of an instrument uses the hands and/or breathing apparatus to produce the musical sound. In singing the vocal apparatus of the person is the musical instrument employed. The voice then takes on higher dimensions than just talking words. It communicates emotions and inspirations which tend to transcend words alone. Parents who really desire to give their children a head start in life should begin early. They should introduce them to classical music and classical singing. The earlier they are introduced, the sooner the mental, physical, emotional and intellectual benefits will begin to be evident. 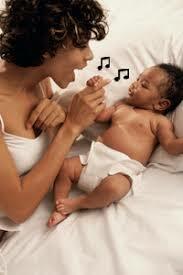 One of the simplest ways to begin is to sing to your baby even before they understand words. Simple little songs are fine to start with. If you do not know any personally do a search and find some simple but melodic tunes. Even if you do not know words or if there are no words to the tune, hum the melody. This works even when the baby is in the womb. Studies have shown that newborns respond to melodies that their mother sang to them when they were in the womb. As the child grows and learns to speak, teach them simple songs. As they continue to grown introduce them to the works of the masters of great music. Even if they do not pursue music as a profession, they will achieve greater success in their chosen field. Through the discipline of Classical music in the singing you will help your child develop good health and good practices. These can be employed in any area of study that they may choose. 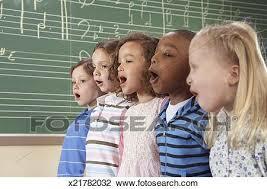 In directing them to the study of Classical singing you will give them a gift they will utilize throughout life. In other words, a choir is not a bunch of soloists promoting themselves. Instead, though they be individuals they rather join themselves one with another to accomplish a goal. A goal which each of them as individuals working apart could never achieve. This does not take away from the importance of the individual. But it raises his or her value because each is needed to achieve the goal. The choir is made up of many individuals but is presented as one. One of the greatest benefits of singing in a choir is that one learns to be aware others. In a choir one must be aware of not only the persons next to them but others also. They must listen to those who are across the group from them. One must listen not only to oneself but also to all those around him. Each learns to adjust his voice to blend with others to bring about beauty and harmony. 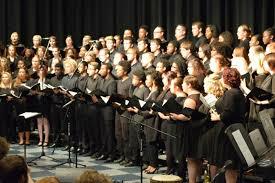 By singing in a choir we can learn to relate to people in everyday situations. We can learn to listen to others and know that they are important even as we are important. If we are to accomplish the goals we have in life we must work with others. Why not find a choir to join? The easiest way to find a choir is to join a church choir. 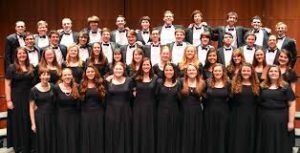 If not a church choir, their are local choral societies that are always looking for new members. If you cannot find one, check around. See if you can find some like minded friends who would like to begin a choir. Even if you do not desire to sing in a choir, decide to begin singing. I shall give you a link to find some online singing lessons if you need it. I shall give some links to some recordings that I have done and others have done also. Begin singing, today. Hum if that is all you know to do. Singing will come. Listen to “good” music. By that I mean Classical music, not pop music. Feel free to sing like an opera singer. Chances are you will be singing correctly. May God bless you as you begin your journey to better mental, physical, emotional and spiritual health. Would you like to study more about singing and how to sing correctly? Then click the button below and see if this will help you achieve a goal of singing and singing better.